Kathryn Gleason, a 20-year coaching veteran with a combined four appearances in the Women’s College World Series as a player and as an assistant, was named the fifth head coach of the Northern Kentucky University softball program on Aug. 3, 2015. Previously, Gleason had spent three seasons as the head coach at Boston University, where she compiled an overall record of 74-74-1. The Norse continued to see improvement under Gleason’s guidance in 2017, going 14-38 overall and 8-16 in the Horizon League. NKU won its first Horizon League series on April 12-13 with a pair of run-rule victories (9-0, 11-3) over Youngstown State. The team also won at least one League matchup against 7-of-8 opponents, including a 4-3 eight-inning win at HL favorite UIC. Senior catcher/DP Dani Devlin was named to the All-Horizon League First Team after leading the League in home runs, while Kailey Rossiter was tabbed an All-Freshman Team selection. In her first season with the Norse, NKU was able to double its total wins from the 2015 season to take the first step in rising as a program at the Division I level. The Norse went 13-40 overall and 5-18 in the Horizon League, up from a 6-42 (1-20 A-Sun) mark the year prior. Freshman outfielder Zahrya McFarland was impactful in her rookie season, garnering Horizon League All-Freshman Team honors after leading the team in batting average, doubles, triples and stolen bases, while also ranking second on the team in hits and runs scored. In League play, the Norse recorded wins over Cleveland State, Detroit Mercy, Green Bay, Oakland and Youngstown State. In 2014, the Terriers went 36-21 and made their second NCAA appearance in three seasons. BU struggled early on trying to find its identity with eight newcomers but eventually pulled it all together entering the month of April. The squad won 13 games straight and went a perfect 3-0 in the conference tournament. The momentum carried over to the NCAAs, in which BU overcame a hard-fought 9-6 loss to then-No. 11 Arizona, with a dominating 8-3 victory over Atlantic Coast Conference champion Louisville. The Terriers were the only fourth-seeded squad in the postseason tournament to earn a win and were one out away from adding a second against then-No. 23 LSU. The win over the Cardinals also marked the first NCAA victory by a Patriot League member since 2009. Accepting her first head coaching position at BU, Gleason was already quite familiar with the Terriers, having spent a combined six seasons at the University of Massachusetts, including the last two as associate head coach. Working primarily with the Minutewomen’s infielders, she helped lead the team to the 2012 Atlantic 10 Championship and a 38-13 overall record after finishing 29-19 in 2011. Before rejoining UMass in 2010, she coached for six years at Michigan State, serving the last five years as associate head coach. She primarily worked with the infield, coaching six All-Big Ten and four All-Region honorees, along with guiding the Spartans to four straight Big Ten Tournament berths. She served as the program’s recruiting coordinator and assistant director of all camps and clinics. Gleason was also the Spartans’ liaison for the Friends of Jaclyn program. Joining the Spartans’ staff in June of 2004, Gleason moved to State following a three-year stint as an assistant coach at Purdue University (2001-2004) While working with the Boilermakers, Gleason assisted with team academics, equipment, promotions, tournaments, facilities, recruiting and strength & conditioning. On game days, she supervised and directed the outfield and assisted with the offense. Additionally, she worked with Purdue’s softball camps and clinics. 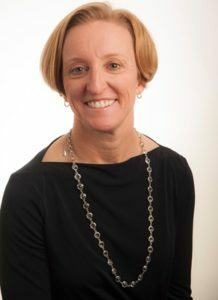 During her first stint at UMass, from 1996-2000, Gleason helped lead the Minutewomen to four Atlantic 10 regular season conference titles and four A-10 Championships. They made four appearances in the NCAAs, including winning the 1997 and 1998 NCAA Regional Championships, as well as advancing to the Women’s College World Series both years. During that time, she also coached a 2000 United States Olympic Gold Medalist, as well as a 2004 Canadian Olympian. Gleason earned her bachelor’s degree in sport management and communications from the University of Michigan in 1996. She was a member of the 1993, `95 and `96 Big Ten regular season championship teams, the `95 and `96 Big Ten Tournament Championship teams, and played in the `95 and `96 Women’s College World Series while serving as co-captain of the `96 team. Gleason earned her master’s degree in sport management from UMass in 2001. She is heavily involved with the National Fastpitch Coaches Association (NFCA), recently serving as the third vice president, after previously serving as the first vice president, the second vice president and assistant coach representative for the association. A native of Country Club Hills, Illinois, Gleason was inducted into the Marian Catholic High School Hall of Fame as “Athlete of the Year” in the 2002 induction class. She was also inducted into the East Suburban Catholic Conference High School Hall of Fame in March 2008.